You may remember we saw Ryan in this shirt recently and we posted about it here. The Rick Hansen wheelchair charity raises money for spinal cord research and is proudly Canadian like Ryan. 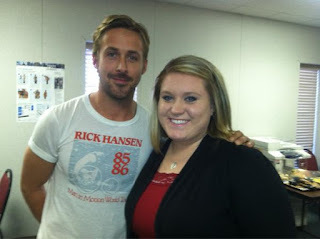 Lainey's gossip blog was pretty excited the last time Ryan was spotted wearing the shirt. See the link to her article here. Casting news for "How to Catch a Monster"